Email Marketing – the new Pagemaker? Like many industries, we’ve been down this road before. A new technology arrives and everyone runs to get on the bandwagon. Back in the 1990’s, it was the introduction of desktop publishing and programs like Adobe Pagemaker. 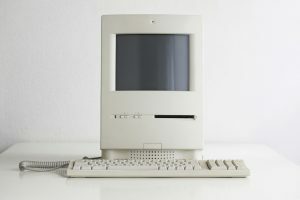 Companies reduced the staff in their marketing departments and bought desktop computers and Pagemaker for their Administrative Assistants to fill the void. It all seemed simple at the time – reduce costs by bringing in technology. Well, the 90’s are a thing of the past and we all learned that leaving secretaries or assistants in charge of marketing may not have been the best idea. So here we are again with the introduction of “easy” email templates or “easy” website development. Unfortunately the developers of these products hype the technology and totally ignore the content. Sure, there will always be improved technology that will make a job easier, but the meat of the message is in the content. I like to think about it this way – cutting the grass is “easy”, but companies hire landscapers to cut the grass at their facilities, because they are more qualified and have the proper equipment and training. Same can be said for painting… painting is “easy”, but usually a professional crew is brought into a business to do the job right and to get it done in a timely fashion. So why are businesses so quick to jump on the “easy” technology wagon? The businesses selling the technology solution convince people that it’s “easy” to do and let’s face it – if you’re stuck filing papers all day or crunching numbers, designing an email or website can seem fun. But we’ve seen this time and time again – at first it seems fun and easy, but then it turns into a difficult job. Developing relevant content and supporting it with timely information is a bigger job than placing some pictures in an email template. Resist the temptation to take the easy route and hire professionals that have the experience and the training to get your message out. I promise, the ROI will be much better and you can leave your staff to work on their own projects. We’re Responsive… Why Aren’t You?